Kawasaki has been doing the jet pump thing longer than anyone in the PWC business. 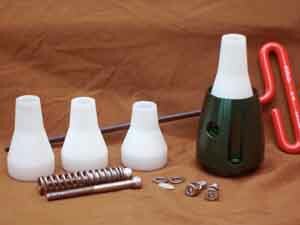 We are currently building 2 different Adjust-A-Thrust kits for Kawasakis. Our Kaw1 kits come with a shorter impeller shaft and bearing installed. 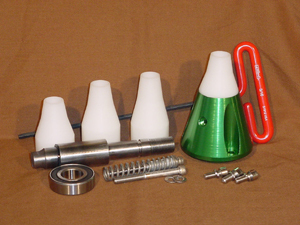 Our kit makes it much easier to change the tailcone bearing. Our Kaw3 kits for the Kawi stand-ups are producing outstanding results when used in conjunction with a bored exit nozzle. Arm wrenching acceleration and a mile an hour on top end. Free Riding? Freestyle? want more low-end and midrange? 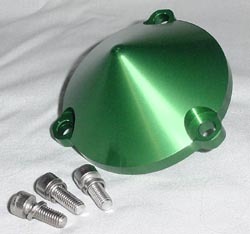 Check out our Freestyle Cones for the Kawasaki standups. Kaw1, - Kawasaki 1100 ZXI/STX, STXR, STX12F pumps. Comes with shorter impeller shaft and bearing already installed into the body. Bearing changes in the tail cone are made easier due to the fact that the bearing is located at the bottom of the unit, instead of in a deep pocket like the stock tailcone. Expect .8 to 1.5 more top end on a ZXI. .8 to 1.2 on a three seater hull. Since we were redesigning the units to upgrade to the new model of AAT, we took the liberty of putting in a larger bearing, and redid the shaft to accommodate it. Expect much more longevity from your tailcone bearing! 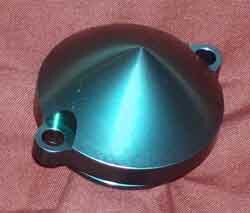 Kw3, - Fits all 650-800cc Kawasaki pumps. Gain at least a mile an hour on top end on most applications. Bolt it onto your SXR800 - Low-end and midrange performance are greatly improved along with impressive top end gains. KW4 - STX15F (07-12), Ultra (07-08), Ult260 (09-10), Ult300 (11-12) The easiest, least expensive mile an hour you can bolt onto your 4 stroke. Reduces cavitation on take off and helps keep the pump loaded in the chop. But it's just like the KW1 without the shaft and bearing!! click here for installation instructions for the Kaw1 model.